As many of you already know, Robert Parker's Wine Advocate (WA) recently published reviews and commentary about New York wines, and many Long Island and Finger Lakes producers scored very well. This was, no doubt, an important success for both regions — particularly after the Wine Spectator's slightly underwhelming and suspect reception. You'll never find numbered wine ratings here on LENNDEVOURS (though I admit that I used to use A-F grades) — because they dummy-down wine and are largely meaningless without context. And yet, Parker ratings can make or break a winery. If Parker scores a wine at 90 or above, it can mean a financial windfall for the winery as the wine flies off of stores shelves and the price can be increased the following year. Parker, right or wrong, has a lot of power in the wine business. For this issue of the WA, Parker himself didn't visit Long Island to taste. Instead, he sent David Schildknecht who also covers Germany and Austria for the WA. Schildknecht is a well-respected taster who is known for being intense and detail oriented. Reading through his tasting notes and speaking to the local winemakers who tasted with him, Shildknecht's palate is clearly well trained and impressive — but no taster or reviewer is perfect. I found his comments about many Long Island wines being overoaked a curious one. Has he been to California lately? Are there some wines that should have been pulled out of barrel sooner? Sure, that can be said of many regions, but I think most Long Island winemakers are learning to use oak sensibly. Maybe Shildknecht's focus on German and Austrian, where barrel influence tends to be trivial, has made him hypersensitive to oak. When you're used to drinking clean, fresh riesling and gruner veltliner, maybe any oak or malo-lactic fermentation really stands out. He also contends that chardonnay vines, across the state, should be "converted to more promising varieties." I don't neccessarily disagree, but blanket statements like that seem out of place, especially without an opinion as to what those "promising varieties" are. Saying that it's "premature to declare riesling the inevitably preeminent grape" of the Finger Lakes seems ludicrous to me. If it's not riesling, and we're ripping all the chardonnay and hybrids out -- where does that leave us? Gewurztraminer? Pinot Gris? I'm not sure, but I can tell you with confidence that it's not red wines. Those three things aside, his review is tremendous for our region and industry. The future is bright for Long Island and all of New York, but I have three things I'm hoping happen. First, I hope that when Parker or Shildknecht return to taste again, they taste wine from every producer. I know of at least one producer who wasn't included — and it's one that I expect would have done quite well. Second, I hope that the local wineries that scored well don't lose their heads and increase prices significantly. Long Island wines in particular already have a reputation (unfairly) that they are overpriced. A significant price increase would only hurt the overall perception in the marketplace. And third, I hope that the reviews serve as motivation — both for wineries who didn't crack the 85-point barrier (required to be listed) and those who scored 90 and above. 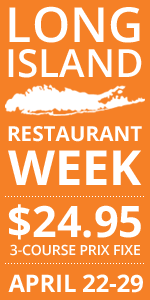 Looking at the reviews, Shildknecht clearly thinks that Long Island is on the cusp of something great. That must be why he titled his review "Baby, You Ain't Seen Nothin' Yet." Having grown up in Pittsburgh, restrictions on buying beer are nothing new. In Pittsburgh, you can't just stop in at the local supermarket or convenience store to pick up a six pack. You can only buy beer by the case and from beer distributors. That being said, I'm glad to read that New York has lifted the ban on beer sales before noon on Sundays. Again, weird rules on beer buying aren't new to me, but I'm glad to know that I can buy beer Sunday morning for a football party (instead of having to go between noon and the 1 p.m. kickoff) or before going golfing on a summer Sunday morning. 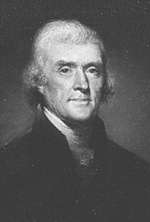 Thomas Jefferson was America's first wino/wine geek/vinophile, so it's far from surprising that he planted his own vineyard -- way back in 1774. Jefferson and Italian Filippo Mazzei planted the vineyard right next to Monticello -- and today Jefferson Vineyards resides on the same plot of land. Of course, the vines they use today aren't from 1774, but they do date to 1981. As 50 in 50 has unfolded, I've found the wines a bit disappointing -- whether too sweet for the acidity level, boring and lifeless, or just plain faulty. So far, the stars have been the wines from Gruet Winery and Westport River Vineyards. Those wines were good...but the three wines I tasted from Jefferson Vineyards, located in the Monticello AVA were even better. When I first took the capsules off the two reds -- a varietal petit verdot and a meritage -- I was worried. Both corks had leaked (the petit verdot was pretty bad). Luckily, the wines didn't seem to be affected much. I don't drink a lot of viognier. There is one local producer here on Long Island and most of the time it's pleasant but nothing worth seeking out. Virginia, of course, is known to be Viognier country. In fact, the editor of the Virginia Wine Gazette likes to use the phrase "Virginia is for Viognier." I may have limited knowledge of viognier, but I can tell you this -- Jefferson Vineyards 2005 Viognier ($25) is an outstanding wine. With only a few swirls, the wines aromas rose out of the glass, with fresh flowers, stone fruit and hints of lemon. 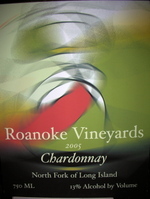 On the palate, this wine displays ripe fruit with apricot, peach and pineapple accented by honeysuckle and lemon zest and a light tingle of acidity on a pleasant finish. The fruit flavors taste sweet, but I doubt that there is much, if any residual sugar here. If I hadn't known that this was a viognier, I would have pegged it as a floral riesling...and we all know how much I like riesling. Next, I tasted Jefferson Vineyards' 2004 Meritage ($28) a blend of 70% merlot, 20% cabernet franc, 7% cabernet sauvignon and 3% malbec. I drink a lot of these style blends from local vineyards and while this one was similar in some ways, it was quite different in others. The nose is youthful with plum, blackberry and vanilla aromas. Medium-bodied, this wine is somewhat ripe with plum and red apple flavors playing against deliciously food-friendly acidity. 2004 was apparently a good year for the region and I think this wine has some cellar life to it. Perhaps the most interesting (and delicious) of the three was Jefferson Vineyards 2002 Petit Verdot ($32). Inky purple in the glass with a black core and thing violet rim, this extremely aromatic with blueberries, black fruit and smoky black pepper. The forepalate is intense with a burst of dark fruit, black pepper and smoky oak. Medium tannins provide nice structure here. Petit verdot is known for delivering big up front and then fading quickly, and while this wine does show some of that, there is enough length here to make this a delicious, interesting wine that I'd drink any day. I'm imagining it along spicy smoked ribs and other spicy meats. As I said earlier, these wines are the best I've tasted on my tour of America's wine regions. No doubt about it. Visit Jefferson Vineyards for more information. Food and Wine Bloggers: What's Your "Guilty" Pleasure? M ost of us in the food and wine blogging community qualify as foodies and wine geeks. That means that we make things from scratch instead of just buying it -- things like salad dressing, ketchup, marinara or even duck confit. We buy local, organic ingredients when we can instead of mass-produced and shipped-around-the-world junk. We're members of Slow Food. We've joined CSA programs. We seek out free-range, organic meats. We don't eat at McDonalds. We don't eat Doritos. We don't eat Hostess Cupcakes. Or do we? I get accused of being a "food snob" all the time, and I bet you do too. So today, my fellow culinary bloggers and readers, I challenge you to dispell that myth and come forward with your anti-foodie habits. As much as we hide or deny, we all have our weaknesses. What's my guilty pleasure? 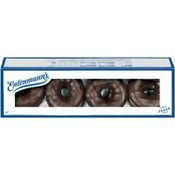 There are many, but probably the most egregious is Entenmann's Rich Frosted donuts. Yeah, those dry, disgustingly mass produced donuts covered in that almost-crunchy layer of waxy "chocolate." Fess up. What junk food or drink do you love? Pachanga? Bark? Mr. Brown? Mr. White? Is this Reservoir Dogs we're talking about here? No, these are barbeque-related words that you may or may not know about. I sure had never heard of Pachanga before. 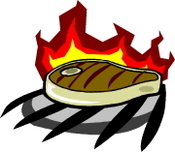 My BBQ guru, WhiteTrash BBQ, has posted a quickie glossary of barbeque-related terms. Check it out. When Vincent Galluccio took over Gristina Vineyards in 2000, it would have been easy to eliminate the Gristina name completely. But, with an eye towards tradition Jerry Gristina had built upon founding the vineyard in 1984 and reverence for the past, many Galluccio-produced wines still bear the Gristina name and label. For the most part, these are the winery's everyday wines — some tasty, some not. The most interesting wines in the portfolio are labeled Galluccio, with two further labeled Cru George Allaire — named for Mr. Galluccio's father in law. Despite fermentation in French oak and 14 months of barrel aging, Galluccio Family Wineries' 2003 Cru George Allaire Chardonnay ($20) remains fresh and food friendly. The taster's nose is greeted with ripe pear aromas accented by lemons, just a little sweet spice and a minty-floral end note. The palate isn't as complex as the nose, but it's no less pleasing. Medium bodied, crisp apple and pear flavors are heightened by fresh, citrusy acidity. The balance is nice here. And, as the wine warms in the glass, pineapple aromas and flavors step to the forefront — a delicious reminder that one shouldn't over-chill white wine. It's pretty amazing how many barrel-fermented chards I've had lately that I've actually enjoyed. It would appear that more local winemakers are learning how to use oak judiciously. Cheers to them. Looking for a fun, creative summer picnic menu? Head over to the Gilded Fork and check out Mark Tafoya's latest menu, with wine recommendations by yours truly. The flavors in this menu are incredibly fresh and so are the wines I recommend. It's amazing the issues that arise when one's wife is pregnant. -- we are wine lovers after all. I still do so because I've got a lot of wine I need to taste for my various writing outlets, but Nena obviously can't. So, we've been looking for alternatives. There's a lot less out there than you'd think. Soda? Too sugary and fake-sweeteners are no good for pregnant women. Verjus? There are a couple local wineries who produce this unfermented juice from half-ripe grapes. Nena like it on occasion but not every day. Fruit Juice? It can be a nice diversion, but too often the flavors are strong and dominate the food at hand. So that leaves us with water. I feel awful, but that's what Nena drinks with every meal now (and between so that she can get her required 48+ ounces a day). We've tried sparkling, seltzer, tonic, with lemon, with cukes, mixed with lime juice and cranberry juice. All "okay" but nothing that is really grabbing my little lady enough to drink it every day. 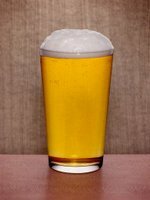 So now I ask you, dear readers, for ideas for alternative, food-friendly beverages. I'm sure there are things out there that we've not thought of -- or new variations on things we have tried. As I said earlier this week, Roanoke Vineyards is, first and foremost, a red wine winery. Cabernet sauvignon and other Bordeaux varieties rule, but this spring, they released their first white wine -- a $17 chardonnay -- in response to tasting room demand. 60% barrel fermentation brings freshness while 40% fermentation in barrel brings depth and a softness. Refreshing apple and Asian pear aromas lead to a well balance palate that blends apple and melon flavors with richer, more tropical notes. Nice acidity brings balance to this wine and makes it perfect for summer drinking. This is a style that I prefer to over-manipulated, oaky chardonnay any day. Winemaker Roman Roth (also of Wolffer Estate) always seems to know where that "judicious oak" vs. "too much oak" line is. I think, for the money, I like this better than any of the Wolffer chards right now actually. 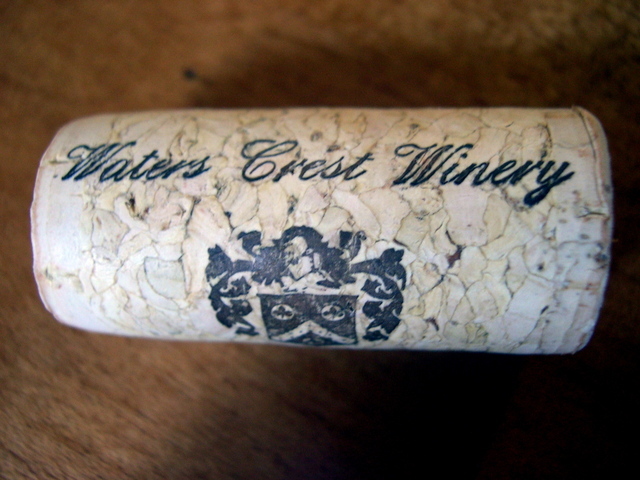 This weekend on Hamptons.com my Corks of the Forks column focuses on Waters Crest Winery and winemaker Jim Waters' 2005 releases. Jim is one of the friendliest, most charming people on Long Island's East End and his riesling is usually one of my favorites. As you'll see, the riesling seemed a bit off when I tasted it (two bottles) but it's possible that it was still a little bottle shocked. I'll definitely taste it again this fall -- probably at Thanksgiving because I like it with Turkey. Read Corks of the Forks for more information. Well, dear readers, it appears that the LENNDEVOURS team is going to be expanding -- on or around February 1, 2007 to be more specific. That's right, the Thompsons are expecting and the woman behind the man behind the blog is doing quite well following her 12-week sonogram. Currently the little guy/girl is somewhere between the size of a fig and a lime and growing every single day. Needless to say, we are beyond happy/excited/thrilled. Of course, it has also changed things here in the Thompson household quite a bit already. As Nena nears the end of the first trimester, we are both hoping that the food aversions that have plagued the first three months subside. What are these aversions you ask? Just about everything. Seriously. And, the wine tasting table has been a bit of a lonely place for me lately as well. Sure, she can smell and spit, but nausea has often prevented my white wine expert from even doing that. So, now that I've been given permission to "announce" the big news, you can expect regular posts about the trials and tribulations of the pregnant foodie family. And to all of you, both in and out of the local wine industry, who have invited us to events and dinners only to be shunned, dissed or politely turned down -- I hope you understand why now. And because it's not a secret anymore, we hope to get out and about more...especially once Nena is feeling better. That's the news for now. I can't put into words the excitement we all feel -- including Ben Roethlisbeagle, who is looking forward to being a big brother. When Rich and Soraya Pisacano opened their Roanoke Vineyards tasting room in the fall of 2004, their only Roanoke-labeled wine was a stellar 2000 merlot that is -- sadly -- long gone. To fill in the tasting room menu, they poured wines from Atwater Estate Vineyards in the Finger Lakes and Wolffer Estate on the South Fork, where Rich serves as vineyard manager. What started with that lone merlot has grown into an impressive portfolio of wines, including two distinctly different Bordeaux-style blends, a hard-to-find cabernet sauvignon, a fresh-but-intriguing chardonnay and an extremely popular rose. Rich has been tending vines on Long Island since high school and despite the push for merlot on Long Island, he prefers cabernet sauvignon. And, with one of the western-most vineyards on the North Fork, his unique microclimate makes it a bit easier to ripen the king of all red grapes. Red wines are definitely the focus at Roanoke Vineyards and that drive and passion is abundantly clear in each of their limited-edition red releases. While it's true that you may not be able to get your hands on their rich, cellar-worthy 2003 cabernet sauvignon, Rich's 2003 cabernet fruit is on display in Roanoke Vineyards' 2003 Blend One ($30) a Meritage-style blend of 48% cabernet sauvignon, 30% merlot and 22% cabernet franc. Rich and ripe, especially for a not-so-great year, the nose is highlighted by intense black berry and black cherry aromas with violet wisps and peppery spice. Full bodied and rich, intense fruit flavors are balanced by oak, fine tannins and a lengthy finish. Drinking well now, this wine probably hasn't peaked yet. Roth made this wine for the long haul. Stock your cellar. Very few wineries produce multiple Meritage-style wines, but Roanoke Vineyards' 2003 Blend Two ($36) — named purely because it was the second blend — certainly doesn't play second fiddle to its big brother blend one. Cabernet franc (48%) dominates this blend with 32% cabernet sauvignon and 20% merlot added to the final wine. Extremely aromatic — because of that cabernet franc — violets, berry fruit and vanilla oak intermingle in a tempting nose. Slightly lighter bodied, this blend is still concentrated and rich with berries, plums and spice. Also well suited to some cellar time, this wine might be closer to its peak. Rich and Soraya still pour Wolffer wines in their tasting room, but their wines are clearly the focus — and well they should be. If you join the wine club, you might even be able to buy some of their 2000 merlot or 2003 cabernet. That in and of itself makes it well worth it. It is with mixed emotions that I announce that I've decided to leave Wine Sediments -- the wine wing of the WellFed blog network. There are some extremely talented people involved and I was proud to be a part of it. But, real life (and other writing projects) has forced me to step down as a contributor. I wish the rest of the team and the entire network good luck in the future. Hopefully they'll hit it big, get rich and I'll be left feeling like the fifth Beetle. But fear not, my 50 States 50 Wineries 50 Weeks project will live on here at LENNDEVOURS. There is a one-week hiatus for the project today (the 50 weeks part of the project is proving difficult) but the 50 train will roll on next week with a visit to one of the East Coast's best wine areas -- Virginia. 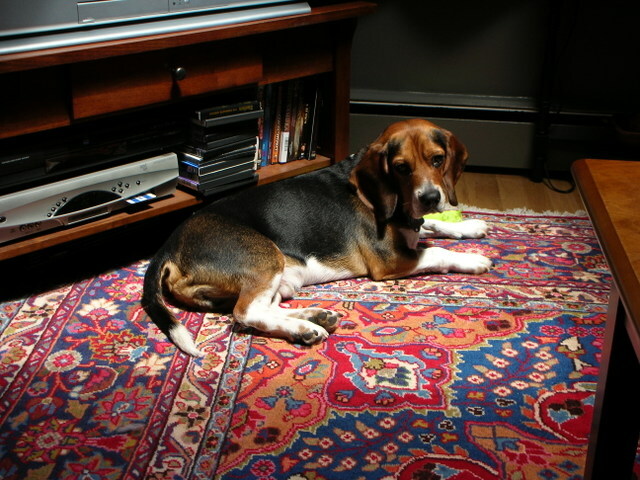 Ladies and gentlemen...I give you Ben Roethlisbeagle working on his tan. When he's not curled up right against either me or Nena (or laying diagonally so he's touching both of us) he can always be found in a strip or patch of sunlight on the floor. He's knows he's a good looking dog I guess, so he's working on his summer tan. Contrary to popular belief, rain is not always a four-letter word to the winegrower. Grapevines -- like all other plants -- need water to survive and grow. Early season rains help the vines start their growing season and lead them into a hopefully, long, hot summer. Improved vineyard management and disease control techniques have recently shown that late season rains have less effect on wine quality than once thought. And, there’s another fact about rain that goes without saying -- we can’t do a thing about when and where it occurs. A lot has written and said about the 2005 harvest here on Long Island. The question I’m most often asked is “how bad did those rains affect you last fall?” My answer usually surprises people. The 2005 vintage was by far the most unusual one I have experienced in 26 years on Long Island -- but it has also turned out to be one of the best. I'll admit it -- I drink a lot of rose in the summer. It's good with grilled foods, refreshing but flavorful, and just plain fun to drink. Of course, I don't like the 'adult koolaid' style of sweet pink drinks...and there are a lot of those out there. Yes, even here on Long Island. In fact, we've got just about every style of rose you can think of and then some. 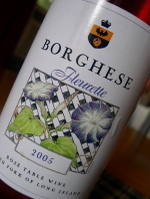 Castello di Borghese's Fleurette ($9) has some of the sweetness that mars many cheap "blush" wines, but it’s a definite step up from the ubiquitous white zinfandels from the west coast. A blend of chardonnay (around 75%) and merlot (around 25%), it's a medium salmony-copper color and tiny bubbles cling to the inside of the glass. The nose is faint, but offers light red berry and peach aromas. Again, there is some residual sugar here, but subtle acidity brings a little balance. Medium bodied, there are fresh strawberry and peach flavors up front with a sweet, cotton candy note on the finish. This certainly isn't example of Long Island rose at it's best, but if you like simple fruit flavors with a sweetness, it's worth a shot. I prefer my rose much drier though. Can any of you out there believe that Wine Blogging Wednesday is coming up on its two-year anniversary? As August's host, Alder, says in his annoucement, I really wasn't sure if people would be interested in such an monthly wine-tasting event when I first uncorked the idea. But, the response has been great and there is a loyal core group of participants every month and new wine lovers are joining the flock all of the time. On August 2nd, the King of All Wine Bloggers wants us to drink and post about a white wine from the Loire Valley region of France. So, run out and get yourself a bottle of Loire sauvignon blanc or chenin blanc and join us as we celebrate these delicious whites as well as the two year anniversary of WBW. Over the past few days, several of you have emailed me asking about Long Island rose. What are my favorites? How are the 2005 bottlings? Because I aim to please, keep your eyes on LENNDEVOURS over the next week or so as I talk about Long Island rose -- a surprisingly interesting topic. Some winemakers use the saignee method to bleed of juice to concentrate their reds, resulting in a rose. Others make rose for rose sake. Other's use blends of red and white grapes. Thankfully, there are lots of bone dry versions to drink, and many of the ones that do have just a little residual sugar have the acidity to balance. Nena, I can hardly believe that it's been a year since our wedding on that little covered bridge in Schoharie, NY. That day is largely a blur in my mind, but it remains one of the most special days in my life. In twelve very short months, we've added a third member of our family, bought our first house and done more home improvement than I ever thought I was capable of. We've grown both as individuals and as a couple, learned from our mistakes and disagreements and always come out on top. We've enjoyed many a great time with our friends and family and we are almost able to cook together in the kitchen without getting in one anothers way. Nena, you've been my most vocal (and patient) supporter in everything I do. LENNDEVOURS is what it is today because you've always pushed me to do what I love. It's brought us new friends, introduced us to new wines and opened many doors for us both. I have to thank you for all of this. I love you and I look forward to celebrating forever with you. There is no better way to spend a summer afternoon than sipping your way through wine country. With over thirty wineries making nearly every style of wine imaginable on Long Island, everybody can find at least one wine that they'll love. Even if this weekend is your first visiting the wineries, it's easy to taste like a pro and get the most out of your experience. These are just a few tips I always offer to people heading out East -- and they apply to any winery in any region. Bring Friends and Have Fun. Wine is absolutely best enjoyed with friends. Get a group together and have a great time. But, remember that you aren't the only people out there. Don't get fall-down drunk, and try not to be too loud or noisy. It ruins the atmosphere for everyone else . Don't Try to Visit Every Winery. With 30+ wineries on Long Island, it can be tempting to visit all of them — but those little tastes really add up. 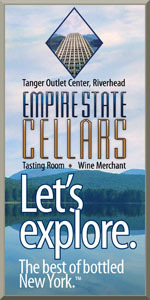 It's much better to pick three or four wineries and take your time at each. Wine tasting is about more than just the wine. Rushing because you want to visit every winery on the North Fork in one day takes away from the experience. You'll enjoy it more if you go slow. Bring a Picnic Lunch. A picnic lunch among the vines is one of life's great pleasures. Many wineries have beautiful patios or decks where you can spread out and have a great lunch. But, if you're going to drink wine with lunch, make sure it's from the winery where you're eating. It's rude to drink wine from another winery though. Don't Wear Perfume or Cologne. If people are there to swirl, sniff and sip a winery's lastest releases, they want to smell the wine and all of its complexities…not your cologne. You've met that guy — but don't be that guy (or woman). Don't Drink Wines You Don't Like. If you take that first sip of a reserve chardonnay and it's just too oaky and buttery for your taste, don't finish it. Every tasting bar has a dump bucket for just this reason. It's okay to skip any of the wines on the tasting list too. If you want to just taste a particular varietal or just reds or whites, you can do that. Ask Questions. At most wineries, the people pouring the wines are passionate about them and have a lot to offer. Ask questions. Tell them what you like and don't like. If they are good, they'll be able to tailor your tasting to your personal tastes. And, if you get lucky, they may just pour you something special that isn't on the usual tasting menu. Get to know these people, they'll remember you the next time you visit. Buy a Bottle to Take Home…If You There is One You Like. Some people believe that you absolutely need to buy at least one bottle of wine at each winery. That's ridiculous. Never feel pressured to do so. It's silly to buy a wine you don't like. Of course, if there's a wine you really love, why wouldn't you want to take some home? Remember to Choose a Designated Driver. Sure, the samples you'll be drinking are small, usually an ounce or so, but they can add up. Decide who's going to drive before you head to the first winery. Don't assume that "someone will be sober enough to drive" at the end of the day. Nothing ruins a great day at the wineries like a DWI arrest, or worse. If you don't want to designate a driver, hire a limo or bus company to drive you around. This is just a sampling...so let me know what other tips you'd offer to people as they head to wine country. Joel has posted the round-up for Wine Blogging Wednesday #23 over at Vivi's Wine Journal. A great grouping of bloggers and wines...and an interesting theme to be sure. Keep an eye out for the announcement of the two-year anniversary edition of Wine Blogging Wednesday...coming soon! This week on Wine Sediments, my 50 in 50 tour of America's wine regions continues with a trip to Utah. Yes Utah...land of the Utah Jazz, Big Love and Basic Juice. 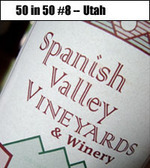 I tasted three wines from Spanish Valley Vineyards & Winery, one of only three producers in the state. Check it out.